The Pay As You Earn plan is undergoing some changes that will be a help to the borrowers that have fell upon hard times and are below the poverty level. Based off the adjusted gross income, the new plan will cap at 10 percent which is believed to be within poverty guidelines. 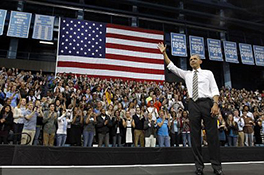 In the early part of 2014, the proposed budget plan by President Barack Obama’s was to expand the income-driven repayment program, Pay As You Earn, and add some caveats that will benefit more borrowers with federal student loans. Shortly afterward, he issued an executive order that strengthened his budget request that required the DOE (Department of Education) to implement that expansion by December 31, 2015. This past fall, in efforts to fulfill the President’s order, the DOE introduced a process, Negotiated Rulemaking, which requires a round of public hearings and the parties that will be affected by this change to meet. As well, there is to be a period of time that the public will be allowed to comment on this change. This is all required under the Higher Education Act and involves various meetings and sessions with a goal to attain unanimity on the many changes that the proposed regulatory will bring. From a session held most recent, unanimity was reach and has been put forth for the public’s comment. These changes are expected to take place as early as late this year or early 2016. With the exception of Parent PLUS and Perkins borrowers, all federal loan borrowers will be eligible for the traditional payment plan. That plan is income-based repayment plan uses the borrower’s discretionary income and puts a 15 percent cap on their net income. 25 years, any remaining balance on student loans is forgiven. The Revised Pay As You Earn will be available for all direct loan, Graduate Plus and Stafford borrowers irrespective of when their loans were taken out. 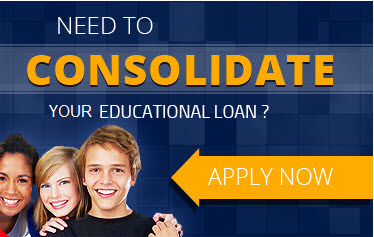 Not eligible will be any Parent PLUS loans or consolidation loans containing Parent PLUS loans. Other federal loans, with the exception of Parent PLUS loans, in many cases, will be allowed consolidate to the direct loan program and allowed to take advantage of the new REPAYE plan. Any Perkins Loan today is allowed to use this option now under the income-based repayment plan or the Pay As You Earn plan. What Do Borrowers Need To Know? Under Revised Pay As You Earn plan, the borrower’s payments will be no more than 10 percent of their AGI (adjusted gross income), less 150 percent of the poverty guidelines based on family size. Any negative results from this formula, the payment for the borrower will be $0 per month. • The income of both spouses will be considered for any married borrowers, regardless how they file their taxes. Other income-driven plans do not include the spouse’s income if a married couple files their taxes separately. For domestic violence victims, there are exceptions. • Under the new plan, a borrower with undergraduate loans balances only will be forgiven after 20 years and for borrowers with graduate and undergraduate loans will be forgiven after 25 years. The forgiveness benefits will become a taxable income just as with any plan that is income-driven repayment. • The interest accrual for any borrower’s balance, under the Revised Pay As You Earn plan, may be reduced by fifty percent if the new payments do not cover it. • The only change made to the forgiveness programs is that borrowers must make 120 payments under the revised plan before being eligible for Public Service Loan Forgiveness. In regards to PSLF, even though it wasn’t mentioned specifically, a conference agreement on the 2016 budget resolution that the House and Senate passed set tax and spending priorities for coming fiscal year. This agreement reduces spending on education, employment, social services and training over the next 10 years by over $160 billion. It is the theory of some people by the elimination of expanding certain areas such as the income-driven plans, the in-school subsidy for undergraduate Stafford loans and public service loan forgiveness will save money. However, historically, when changes were made to the benefits of federal aid programs or programs were eliminated, Congress grandfathered existing eligible borrowers. We will keep our followers and readers advised if and when this should happen. During the negotiated rulemaking meetings, there was a discussion that sometime in the future, the only income-driven repayment plan will be the Revised Pay As You Earn available to new borrowers. At this time, there is not any discussion in regards of eliminating the current plan that is available to existing borrowers. A bonus seen by the us is that participation in the negotiated rulemaking process is open to anyone. For those who have an interest and opinion in regards to the proposed changes, they should stay tuned throughout the summer when public comment will be open as the Federal Register Notice of Proposed Rulemaking is released that outlines the proposals. The process rules require the DOE reads and responds to any and all comments and questions that are received in a later publication. AssistingAmerica.org (AA) is a private organization and is not a government entity. AA is a Document Preparation, Submission and Tracking Service. AA will not pay your student loans for you or on your behalf. We offer our service only for the Preparation, Submission & Tracking of Federal Student Loan Consolidation Documents. Document Preparation Services are not available for residents of the following states, IL, CT, GA, KS, NY, WI, WA. *Results May Vary and are Solely Based on The Federal Consolidation Program You Choose. Not available in all States.